Using a normal block of chocolate like Cadbury really brings a totally different flavour to these very German style of cookie. Have your pot already ground or chopped it before you start as this will make it alot quicker. 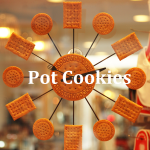 These pot cookies are a great way to enjoy weed without having to make cannabutter or canna oil. 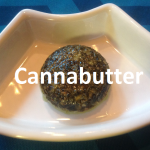 If you want to use cannabutter or canna oil in a recipe check out our pot cookie recipe page for even more tried and tasty recipes. 1/4 Ounce to 3/4 ounce of dried flower. The potency of the product is also to be noted and your condition. The number of cookies will vary also when you use more dried flower. 1/2 cup hazelnuts- halved and broken up into smaller bit size pieces. 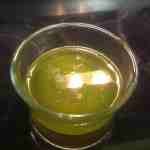 Melt your butter in a medium bowl in microwave with your dried flower so as to active the THC compound. Cream together the melted butter, light brown sugar and white sugar until well blended. Scoop down sides to make sure all dough is in the bowl before starting to add chocolate or hazelnuts. Stir in the hazelnuts first by using a wooden spoon or rubber spatula. Make it even throughout the dough. Stir in the chocolate bits by using a wooden spoon or rubber spatula a small portion at a time. Make it even throughout the dough. 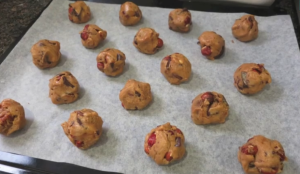 Scoop dough out with a 1/2 tablespoon and place one small ball at a time onto the prepared cookie sheets. Cookies should be about 1 inches apart or so minimum.